Reach for the stars to shine on your path of inspiration. Explore your individuality while affirming your thoughts and goals. Dream your dreams, wish upon the stars and mark the special moments in your life and the lives of those around you. 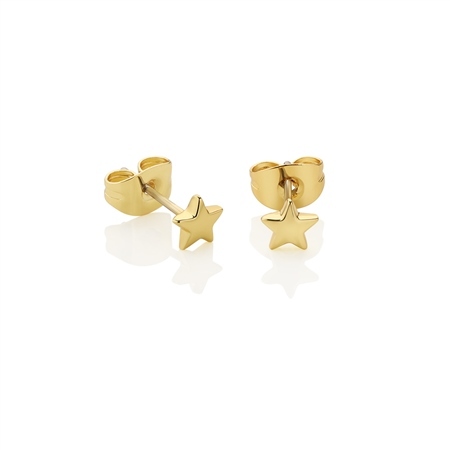 14k gold plated star stud earrings with a protective anti tarnish layer, representation of wishes, presented in a Newbridge Silverware gift box. Product dimensions 5mm diameter.